Being a city girl all my life, the first thing that I look for whenever I visit a place is its malls. The latest mall to open in Cebu is SM Seaside City. Known locally as SM South Road Properties- (SM SRP), this is the fourth largest mall in the WORLD. 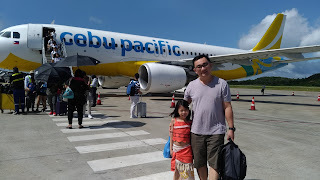 I would never pass up an opportunity to visit it so right after checking in at Marco Polo Plaza Hotel Cebu, we hailed a cab to take us there. Except for a few mall goers, I was surprised to see that the mall was virtually empty on the day of our visit. The mall is so spacious, my daughter would surely love it! We found several local restaurants but our eyes were fixed at Hukad Sa Golden Cowrie because it was one of the restaurants that was full to its capacity. We figured that the food must be really good. We were right and the price was really affordable. What a perfect combination! 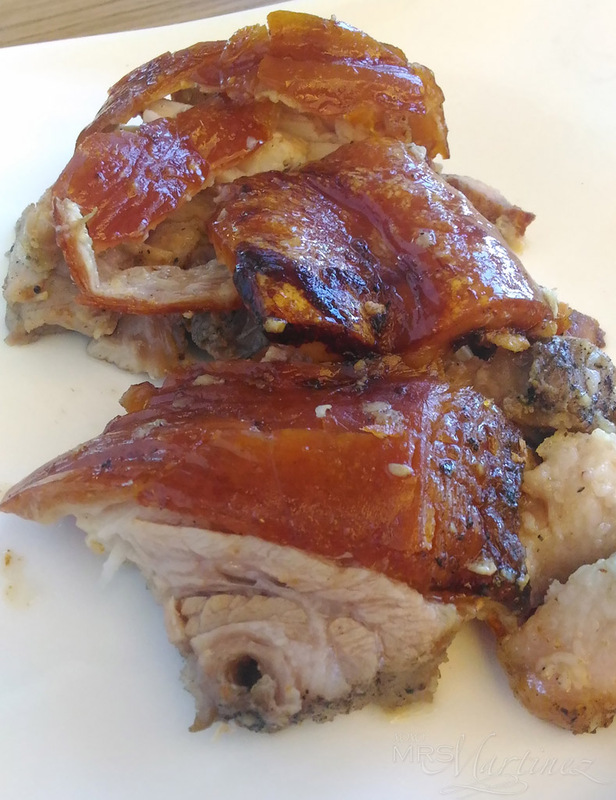 Hukad sa Golden Cowrie's specialty and every Cebuano's favorite is Boneless Lechon Belly. We ordered 1/4 Kilo. It was already good to share for two people. It was crispy, tender and Belly, Belly, Good! We ordered Chorizo under Sulit Meals. 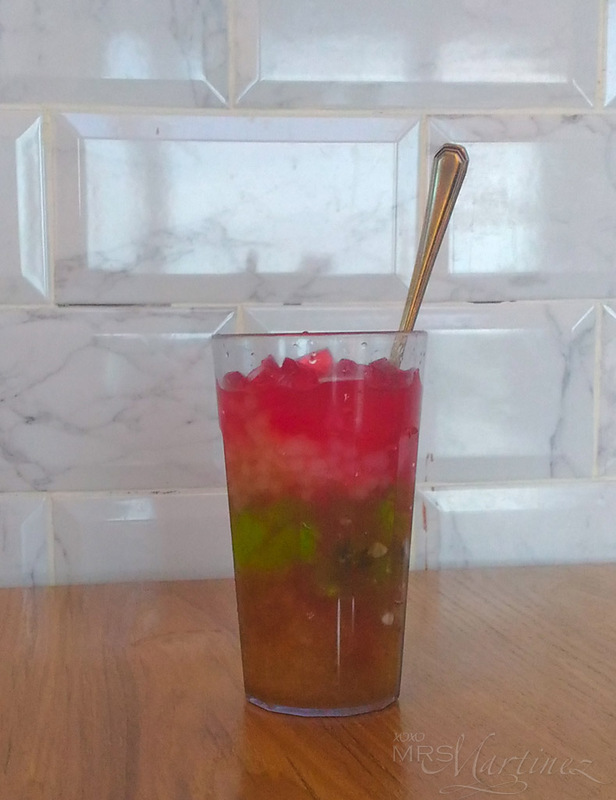 Each meal is served with Iced Tea, Soup and Unlimited Rice. All for Php 129 only. Super sulit, if you ask me! 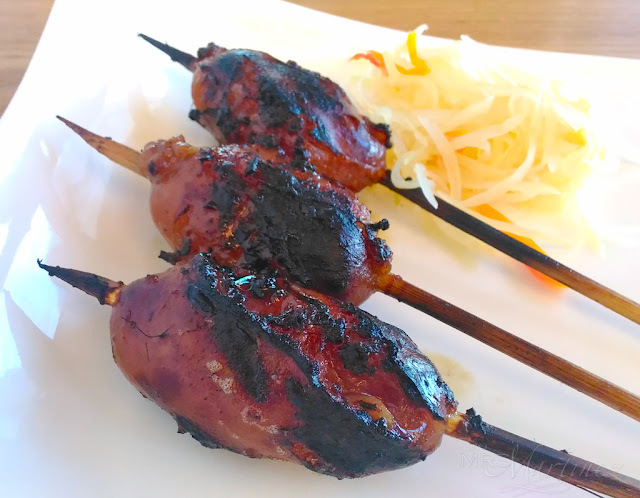 Other choices from the menu are Chicken BBQ, Pork BBQ, Sisig and Pork Paklay. 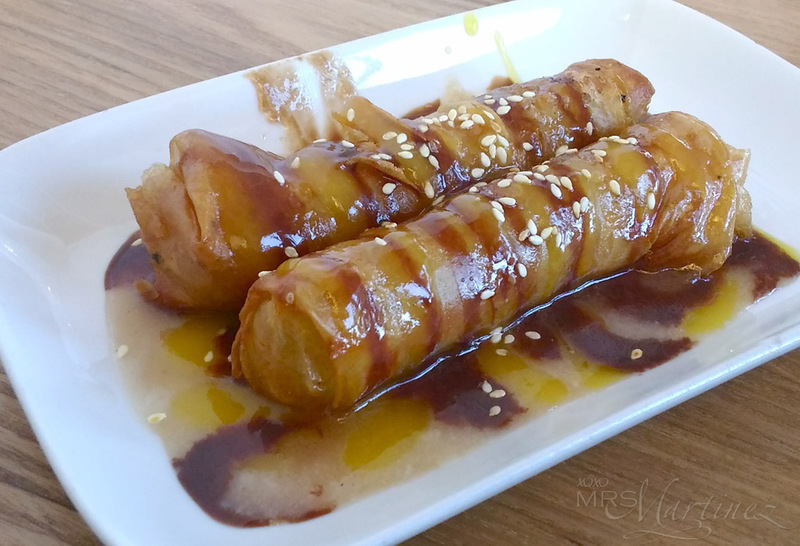 A sweet surprise is Hukad's Budbud Turon with Tsokolate Syrup. 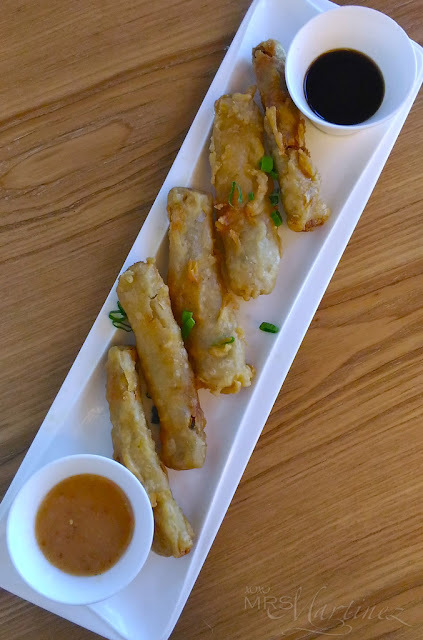 We both loved the crunchy turon in every bite! Hukad Sa Golden Cowrie is located at the 2nd Level SM Seaside City, South Road Properties, Cebu City.